I hadn’t really intended to blog here only once a month. It’s just kind of how life has been going. With school starting back and delving back into my freelance writing career, free time is probably going to be at a minimum for the foreseeable future. But…I can at least keep a decent journal of how things progress month-to-month, because I know she and I will want to look back on this one day and remember all the things we tend to forget. Of course, parenting is like that regardless of where the children come from…I don’t think anything in life teaches us grace more than living out the daily nitty-gritty of meeting children’s needs. But I’m encountering areas I’d never contemplated much before she came, as every day presents new areas to help her adjust. One area is daily care and grooming. In Uganda, she bathed with a bar of soap, in a basin containing 2-inches of water, and the orphanage kept her head closely shaved. She moisturized her skin with a swipe of Vaseline, and deodorant didn’t exist. There just wasn’t much to keep up with. Here, she climbs into a shower filled with at least 15 different bottles of various body washes, shampoos and conditioners. How can she possibly remember who uses which ones, or what each product is used for? 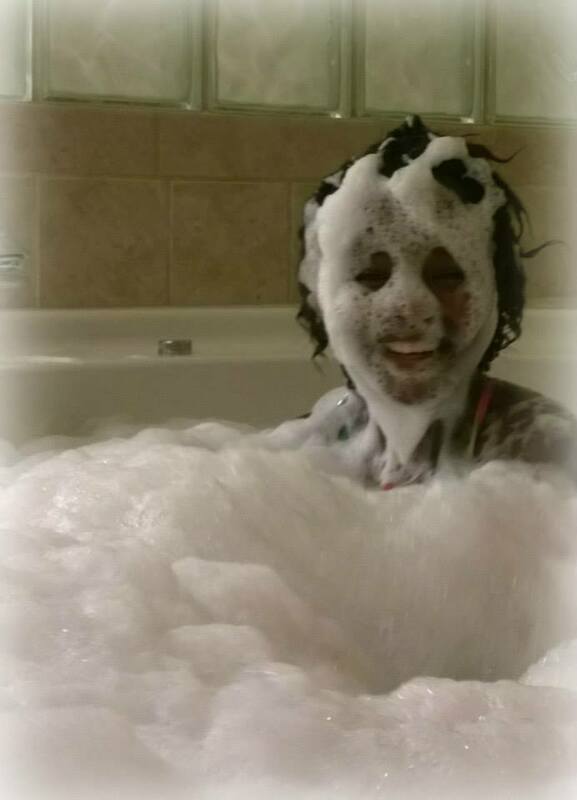 Or that the body wash that suits her oily-skinned bigger brother will just cause her skin to become itchy and ashy? I have shown her multiple times what to use, and how, and how much, and helped her wash her hair, but still — eight weeks is not a long time to memorize all that stuff, not when you’re expending huge amounts of mental energy just trying to master the language. So when I go into the shower, and my favorite body wash bottle is empty, I get another chance to exercise grace. And we aren’t even going to delve into all the hair styling products, tools and accessories she and I have between the two of us. Let’s just say that this morning, she learned the hard way why I gasped a little when I saw the amount of styling gel she used yesterday. Her entire head was covered in white flakes today. Haircare is another dance we perform daily. We are learning this stuff together — she’s never had hair, remember? — but she’s at an awkward age for this. She wants my help, then she doesn’t. Then she wants it again. She sees styles she likes, which aren’t possible on her length of hair yet. So we look up styles we can agree on together, but the next day, she’s changed her mind again. So most of the time she just pulls her hair back into a puff. I wish I’d gotten a picture of her twist-out, because it was really pretty the day or two that it lasted. Anyway…she’s blessed to have the kind of face that is gorgeous no matter what (or if any!) hair is framing it. Speaking of grace, I can’t begin to comprehend the amount of grace she has to extend to US. We are loud, and we are a family with tons of inside jokes and odd names for things that probably make no sense to her yet. And with two gassy older brothers, and a little brother who constantly gets into her stuff, and parents who are always asking for this, that or the other, she has to get weary of us, even more than she ever shows. I’m sure so many things we do seem incredibly strange to her, like keeping eggs refrigerated, eating salad when you could choose ice cream, putting ice in our drinks (and having 15 bottles of soap in the shower…!). It sounds odd to say it, but in a lot of ways, living with her is like witnessing a newly-mobile toddler explore a new world. Things have to be broken, and spilled, and lost and questioned, because without hands-on involvement, a child cannot learn what works and what doesn’t. America IS an entirely new world to her. So little of what we have and what we do is familiar to what she’s known for 12 years. I need for the people around us to realize that, to not judge when she behaves in a way that is much younger than her age. It won’t always be like this, she won’t always be so curious or klutzy. What might look like permissiveness on my and Dad’s part is probably us following the advice from adoption attachment experts, and not at all meant to be seen as us letting her get away with misbehavior. Grace. I need so much of it, now and for quite a while to come. I think Violet’s perhaps growing weary of summer break, which has been hard to explain to her in a way she can understand. 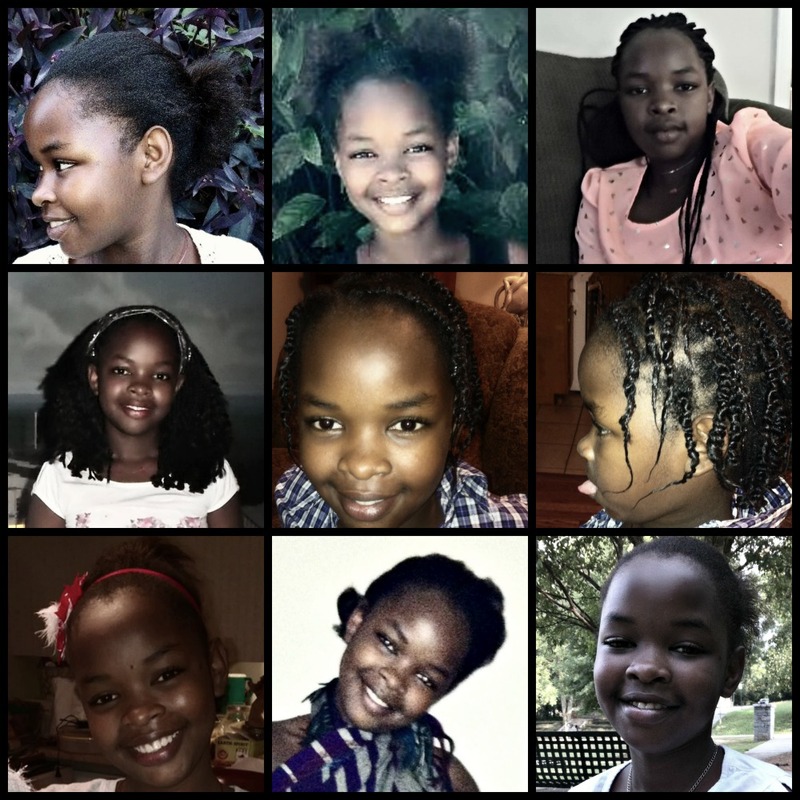 The American school calendar and the Ugandan one are totally different and it’s kind of bad that she came home right at the start of the long summer holiday, because it makes it very hard for her to imagine what life will be like once we start back to school. She must think that Americans do a whole lot of nothing, because most of our summer days are quite leisurely spent around the house. I don’t know how it’s going to go when we start back in August. We’ve decided to homeschool her, so she can get caught up to grade level in a lower-pressure environment. She’ll also attend a couple of classes for homeschoolers, held at other locations, so she should have plenty of opportunities to make new friends. I think sometimes she must be lonelier than she lets on. She has to miss her friends tremendously, and unfortunately, one of her dearest has been in the hospital with malaria complications over the past week. I get frustrated because she still lacks the English skills to truly articulate to me how she really feels about that. But then again, talking in depth about your feelings is a western thing. They just don’t do that in Uganda. It’s yet another area that needs a heaping dose of grace, as I try to figure out what she is thinking and feeling, when she comes from a culture that taught her to keep it all inside. Anyway. Now that I’ve shared some of our current issues we’re working through, let me tell you what she’s been up to since I last posted. 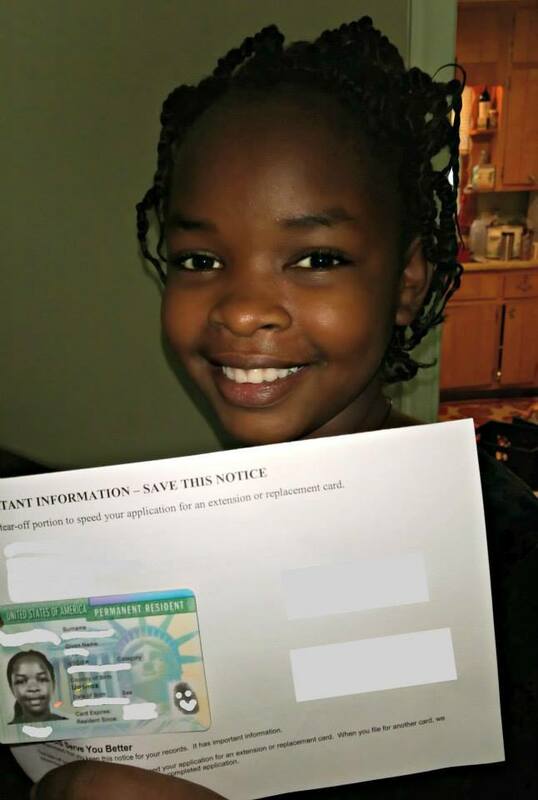 Somebody got her green card!!! She rode on a pontoon boat across a lake…. Celebrated her first-ever 4th of July…. 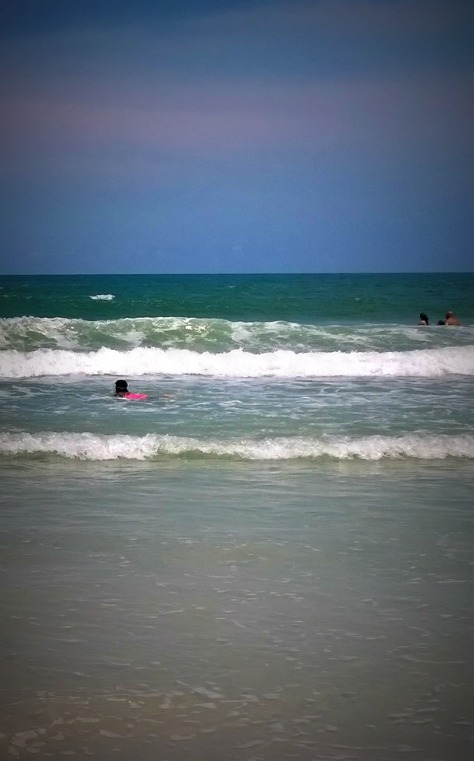 And was absolutely beside herself with excitement at seeing the ocean for the first time in her life! I’ll never forget sharing that experience with her, all the wonder in her eyes as she grasped for the first time how incredibly huge the ocean is and how strong its waves. She is so brave, though. 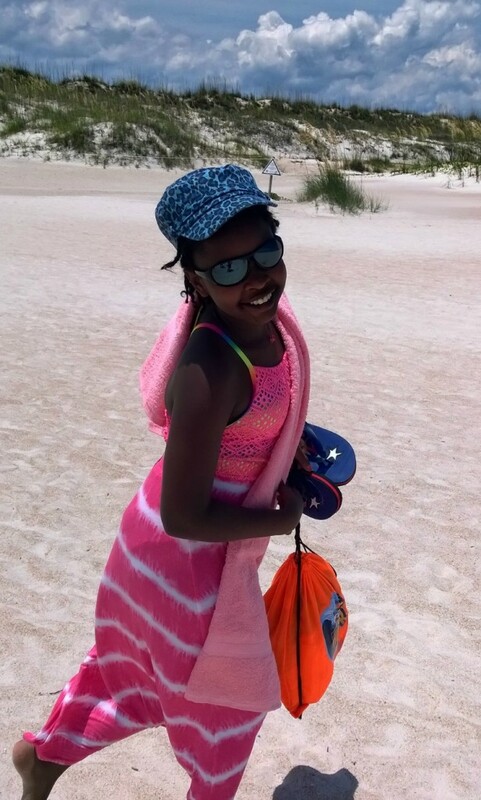 Every time we encounter a pool or the sea, she becomes ever more our little Ugandan tilapia! 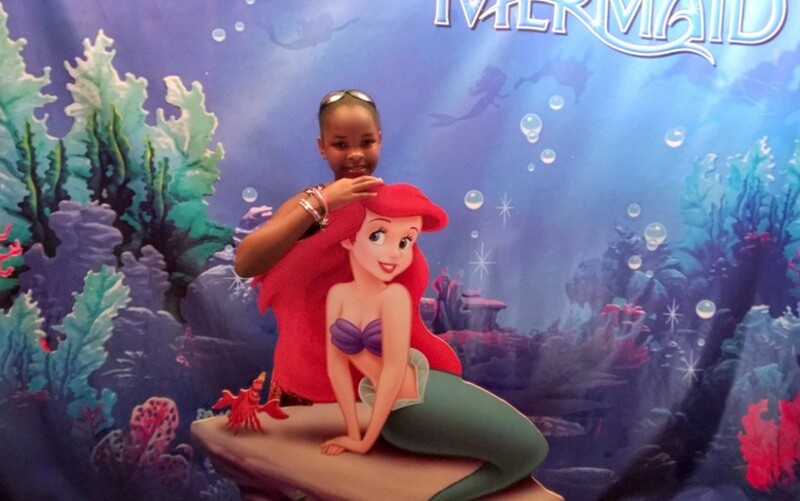 Or maybe she’s just channeling her inner Ariel…because she also got to see her first Broadway show, The Little Mermaid, and fell in love with all things mermaid. 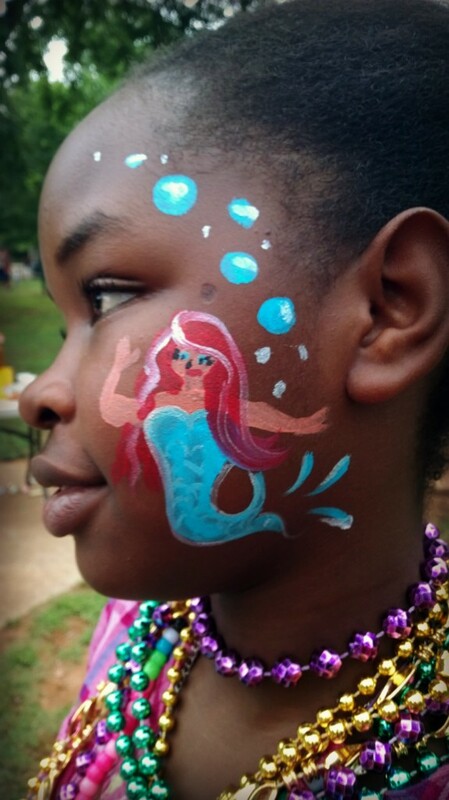 She even requested having Ariel painted on her face the week after, at VBS…. So while most of our weekdays have been low-key, there have definitely been a lot of exciting activities over the past month. It’s a privilege to be able to experience all these things new again, seeing them through her eyes. It’s an honor to be her second mom, for God to have granted us the gift of four precious children, all unique, all needing different things from us, but mostly just needing love and acceptance. I hope we don’t fall short on giving them that — topped with heaps and heaps of God-given grace. She is beautiful! And you are all doing awesome! Thanks for the update, Kari! Grace…..that’s what it’s all about! 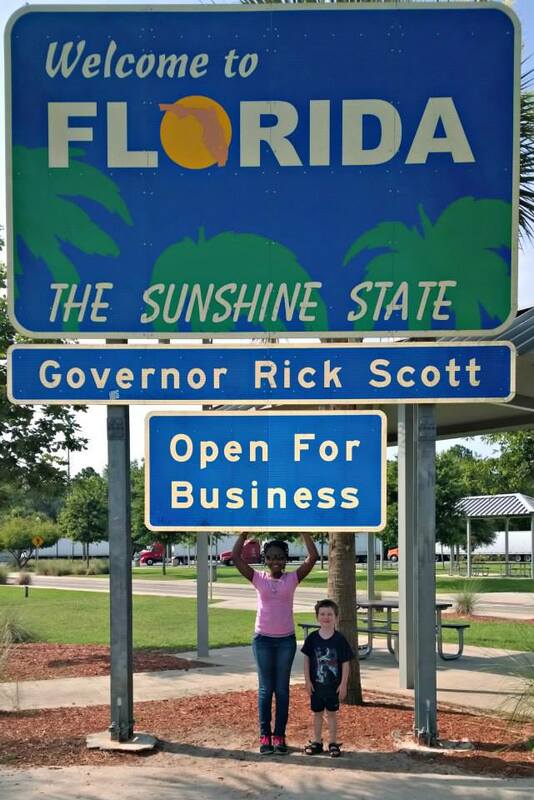 I met you at Chick-fil-A in Covington a while back and shared our adoption story. Our daughter came to us at age 8. As you will learn, the hardest part is because you didn’t give birth to her, you were not there to nurture and cuddle her as an infant and toddler. So it will be hard for her to let you do that now….at least we’ve found that to be the case. Our daughter has a hard time accepting affection (or showing it). That hurts. And now that she is 17, she is really questioning where she came from. 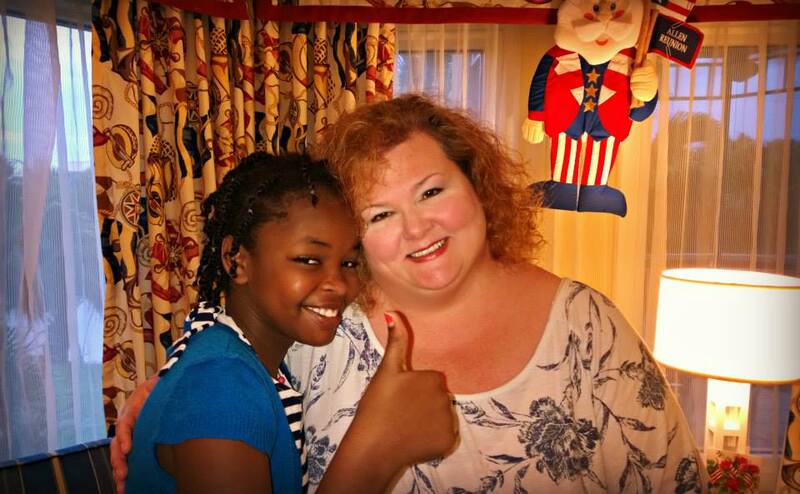 All hard parts of raising an adopted child. But we are blessed that God has allowed us this opportunity. And He has shown us what grace is all about. Thanks so much for your reply, and I appreciate your sharing your experience with us. Violet can be very affectionate, but it’s on her terms…but that’s OK. She knows a good bit about where she came from, but I’m sure as she gets older, there will be more questioning about the logistics of everything. I had my first experience filling out a doctor’s form the other day. It was asking things like, health at birth, health issues in infancy, and I obviously don’t know any of that. Or health history beyond what her bio father died of. So yes, there are definitely a lot of hard parts linked to not being there during the formative years, aren’t there? Thanks again for staying in touch! Wonderful! Keep posting. 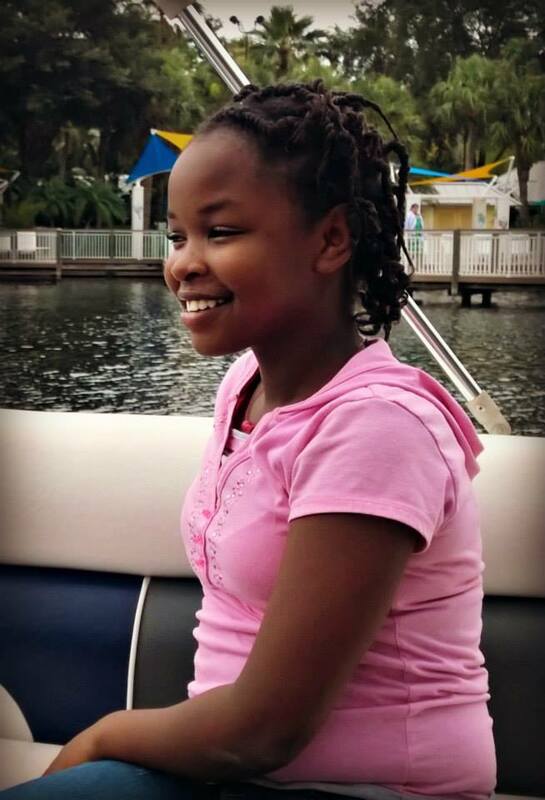 We have shared this long process with you and your family and long to know the outcome for your beautiful daughter. Have you tried marking her toiletries bottles with her name in Sharpie? You could even make hashmarks down the side to illustrate how much to use at one time. So much for her to get used to. But that smile… no need to wonder what she’s thinking when you see that smile! Love to you & (all of) yours. The Sharpie is a good idea, Kemala. She’s definitely learning a lot each day. I might “ease” us back into school over the next two weeks by doing a short activity each day. I think the flexibility is probably my very favorite part of homeschooling! Thanks for chiming in!